You’ve probably heard SOMETHING about this book (if only that it’s been turned into a movie). I first heard about this book years ago, on a writing blog, when someone was using it as an example of good writing. So I always meant to read it. Then someone described the movie as “How Twilight should have been” – not in plot terms (Twilight is predominantly romance, and The Hunger Games is predominantly a story about war/reality TV) but in taking an introverted heroine with a distinctive voice and turning her into a film heroine. When I read the book, it was the inside of Katniss’ head that intrigued and fascinated me, not the “deadly reality TV” plot, which I never found terribly original or interesting. The plot is that one boy and one girl are selected by lot from each of twelve districts, and must fight each other to the death. Collins does deserve points for not making it feel silly. But most of her points come from characterization. Katniss has already almost starved to death once, after her father died – and her mother and little sister would have starved as well, since at the time she was the only provider. She lives in District 12, which is one of the poorer districts defeated by the wealthy and powerful Capitol. The Capitol reminds the districts of their weakness and dependence by demanding the annual tribute of a boy and girl from each district for the violent and deadly Hunger Games. A lot of things about this book surprised me. It’s written in present tense (which usually turns off older readers) – which I didn’t actually notice until a friend pointed it out. 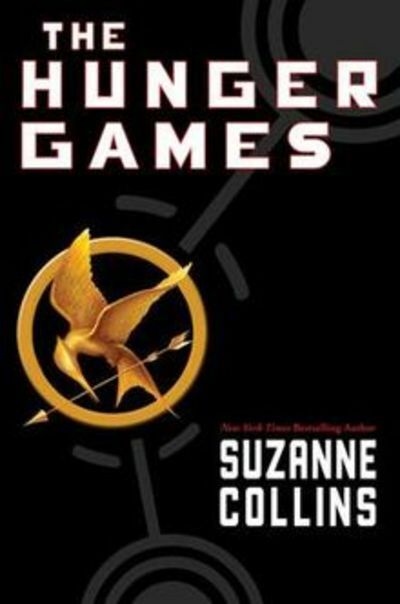 It takes quite a long time to actually get into the actual Hunger Games section of the book, which annoyed me a little. But it annoyed me into reading on faster, so I could hardly claim it was bad writing. And there were certain twists I expected to happen that didn’t happen after all. So is it a twist when the author makes you think something bad is going to happen, and then something else bad happens? Yes. Lesser writers might simply have failed to think of the twists that I expected. I think Collins’ choices were deliberate. They certainly kept me guessing. They also make me want to read the book again – not to scour the book for clues, but to let go of my guarded emotions and embrace the pain I know is coming. This is not a happy series of books. . . There are a couple of things that seem stupid to me – for example, at one point Katniss is running away from other contestants and she climbs a tree, trapping herself. This is a fine survival strategy for animals, but it just doesn’t work against humans. Katniss herself is a fighter, a survivor, and a (reluctantly) active heroine. She has her own thoughts, and she’s more interested in the personality of a boy than what he looks like (unlike some). She’s also rather obviously scarred and brittle from her whole life, which just makes her more compelling, and more dangerously vulnerable, like a cornered animal is vulnerable. Most of all, though, I cared deeply what happened to Katniss, and I cared about what she cared about. And that’s what made this a great book. The book and movie share the same problems: Katniss is a rather defensive character, which is narratively weaker than the alternative (but it can’t be easily fixed, because then you’d have a heroine gleefully setting out to kill other children). One of the weakest scenes in both the book and the movie is her TV interview (much like a beauty pageant contestant), in which Katniss finds the strength within herself to finally. . . be just like all the other girls. She’s so scared before the interview, and readers/viewers expect a breakthrough that means a bit more than the ability to smile and twirl (although smiling and twirling is actually crucial to her survival, that sense of desperation doesn’t come across). Rating: M/MA for children killing each other. Free sample (opening paragraph): When I wake up, the other side of the bed is cold. My fingers stretch out, seeking Prim’s warmth but finding only the rough canvas cover of the mattress. She must have had bad dreams and climbed in with our mother. Of course she did. This is the day of the reaping. Free analysis: I like the ominous signals already happening (the cold bed; the familiar-to-the-reader idea of bad dreams; the word “reaping” and its place in the paragraph). I like the signs of poverty (sharing a bed; the mattress’ canvas cover and apparently no sheet), and I like how we know instantly that Prim is vitally important to the narrator: the first thought she has in the morning, and a little sister she automatically reaches for rather than pushes away like a normal teenager.